Together, ClearStream RFID along with hardware from Zebra (Formerly Motorola), Feig, Impinj, Alien and Jamison RFID offer best-in-class RFID solutions with unmatched versatility and ease of use. 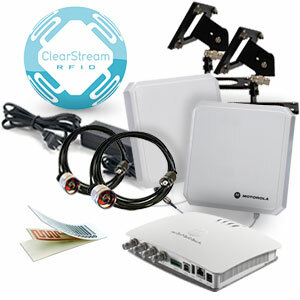 ClearStream Starter Kits include everything needed to add to, or create a highly flexible fixed RFID system to easily capture and stream data based on your specific business needs. ClearStream RFID systems can easily be set up to link directly to your pre-existing RFID System to check in and out inventory, monitor assets, track vehicles or event people.